Google’s Fuchsia operating system is a mysterious littler bugger. We know that Google continues to work on it, that it’s an all-Google OS, that it’ll be for phones and computers (you can try and run it on a Pixelbook right now), and that it wants to run fast and possibly be the future of computing for the search giant. But we have no idea when it’s coming, what it’ll look like as a finished product, etc. 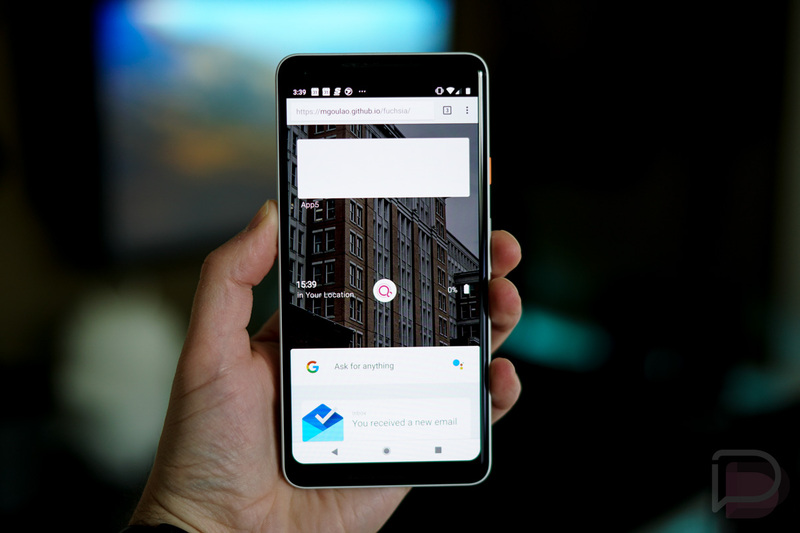 However, someone put together a website that brings you the current Fuchsia experience, so that you can get a feel for where Google is at and how different it is from your typical Android UX. All you have to do is head to this link. You can go there from both computer or phone, though I’d suggest phone to get that more involved experience. Once there, you may run into an error because of the number of requests it has serviced today, but the majority of the experience works. Tap on the (+) button in the bottom right and then “Guest.” Give it a second and it should then load up Fuchsia. You can tap the center button to load up some settings, tap on the faux notifications to see how an app may load, scroll through what I’m assuming are placeholders for currently running apps, and….yeah, that’s mostly it. Hey, the transitions are fun at least, right? Let us know what you think! Could this user experience be a nice change of pace or is this still too confusing in its current form?